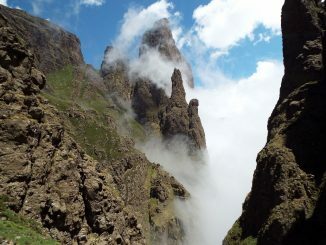 Fangs pass in summer - breathtakingly beautiful! 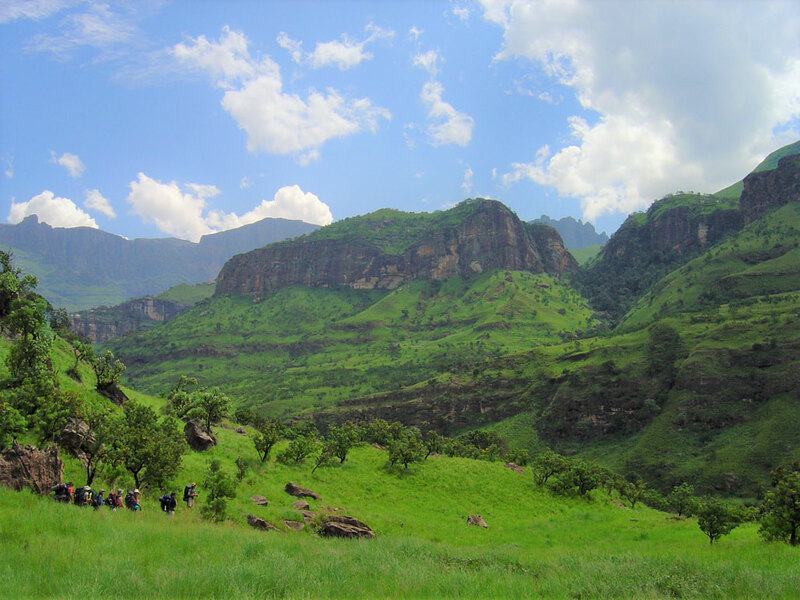 Conventional wisdom holds that the best time to hike in the Drakensberg is in spring or autumn – sufficiently long days, mild weather, the bright greens of spring (or alternatively the deep yet fading greens of autumn) and most importantly a diminished chance of thunderstorms and heavy rain, makes this prime Drakensberg time. September to early November and late March to May I would say. Winter brings its own magic. Except for the occasional cold front, the days are clear and pleasant (ideal for long walks) and the landscape is covered in hues of brown and yellow with sub-zero temperatures on the escarpment. Moisture rich air results in clouds – lots of it. 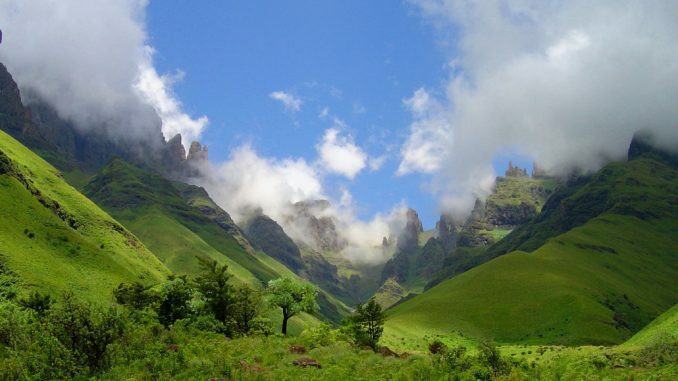 At night, the cool air settles and vast banks of clouds drop down to the Little Berg and Kwa-Zulu Natal Midlands. If you are on top of the escarpment, you will be anything between 500 and 1000m above the fluffy white sea. 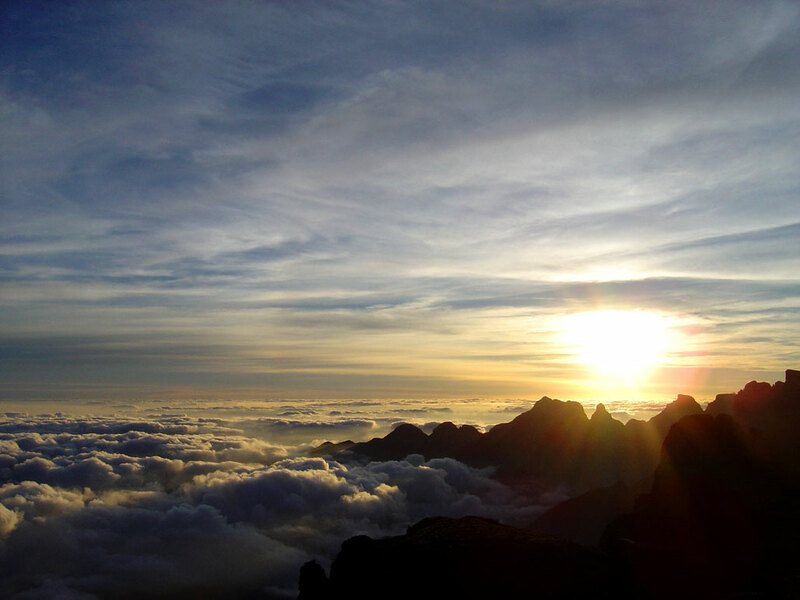 Seeing the sun rise above the clouds is a spectacle you will never forget – the only downside being the 4am wake-up time. I love greenery on terra firma – trees, grass, moss, reeds, you name it. 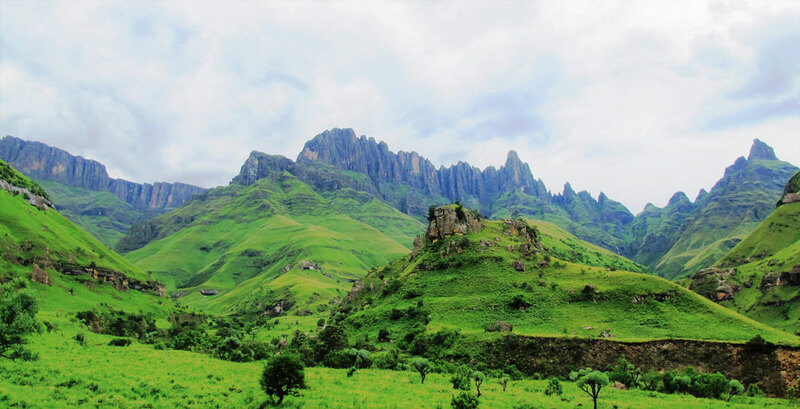 In summer, the Drakensberg teems with green; the kind of green that makes you think pictures are photoshopped. It is also well noted in psychological literature that green – green landscapes in particular – has a calming, de-stressing effect, as well as being associated with increased creativity and a sense of well-being. Also, it is just so incredibly beautiful! Due to the summer rains, the rivers flow stronger. 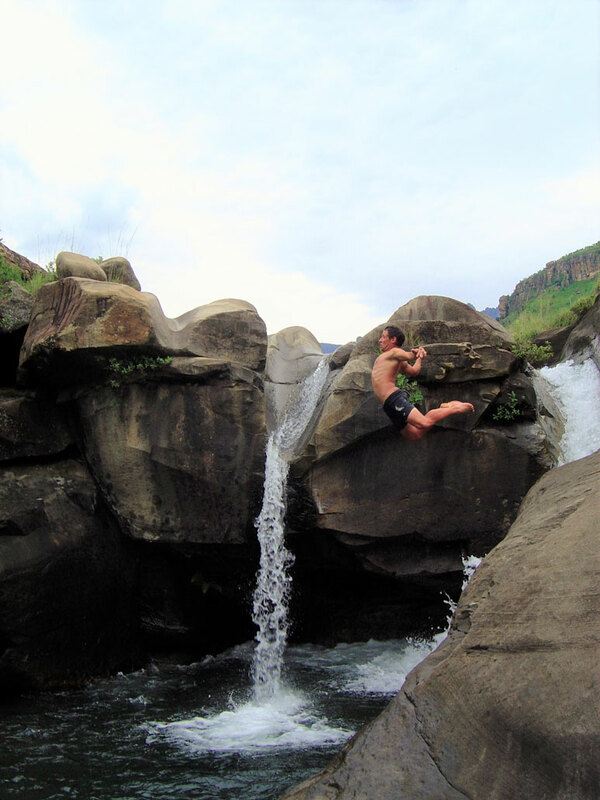 This might result in difficult river crossings and increased effort going up river beds, but the waterfalls are bigger, more spectacular and more plentiful. Nothing like mountains decorated with glistening ribbons of flowing water after the rain. The long daylight hours are especially useful for long hikes. It’s easier to get up early, and you can put in a full-days hike and still be able to set up camp in daylight and have some time to chill and explore. It is pretty grim to wake up in the dark and/or set up camp in the dark. Another bonus is the ability to dry out wet/washed clothes within a day. Long daylight hours leave time for goofing around. Mountain streams are always cold, and on the escarpment the water is either freezing or frozen-over outside the summer months. Also, in drier months there might only be stagnant pools of water, which relegates water usage to consumption purposes only. 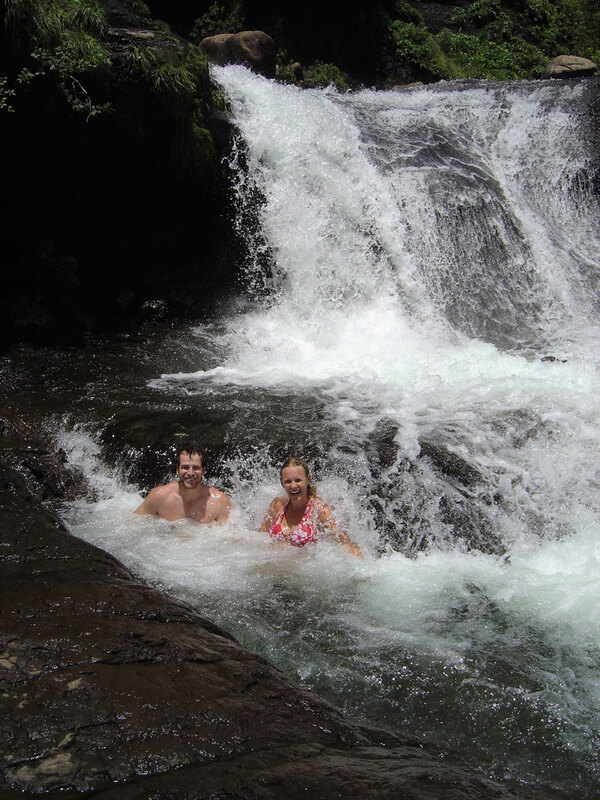 The streams are still pretty chilly in summer but it is bearable and there’s the upside that your body will warm a bit quicker afterwards. Nothing like getting properly clean after a long, sweaty day of hiking. Lightning storms: Much like shark-attacks, the danger of lightning is usually overestimated. 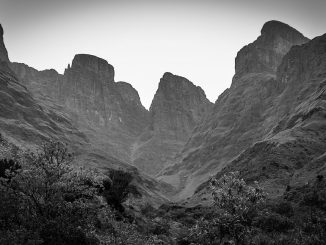 It is however a very real danger in the Drakensberg and I recommend that you read our article on Lightning Safety. 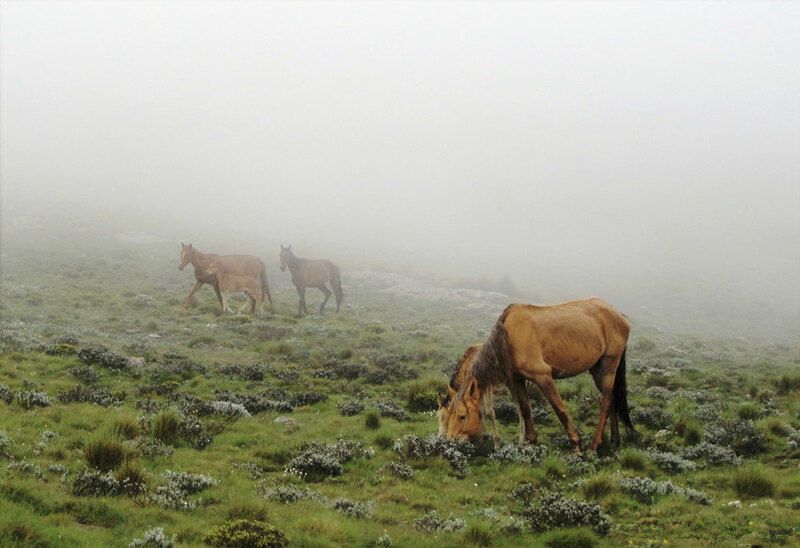 Fog and Visibility: The rising clouds often become a thick fog on the escarpment, which may result in you walking for half a day or more with very little visibility. 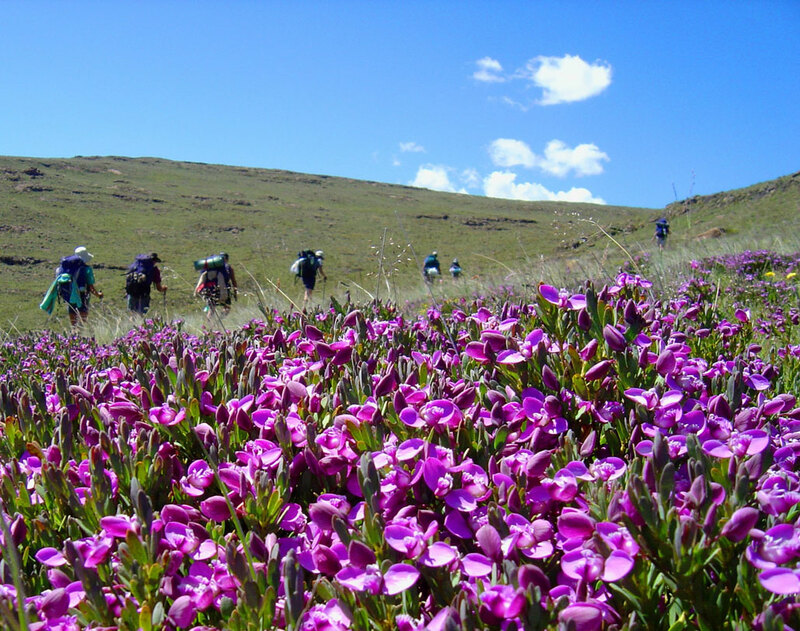 On the escarpment and in Lesotho a GPS-device and accurate coordinates are a must. 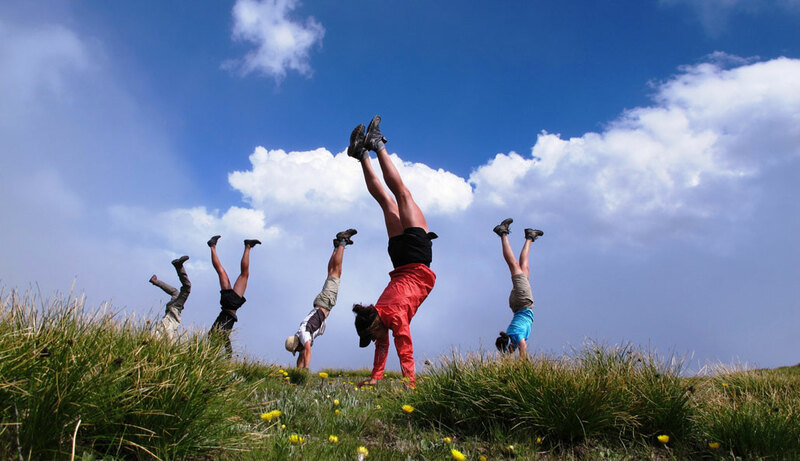 Also, when hiking in a group, make sure that you stay together. Flooding: Occasionally, heavy rains will render the streams in the little berg impassable, trapping hikers. There are also some passes that are prone to flash-flooding. The streams normally run-down after a day or two and will become passable again (unless there’s more rain). 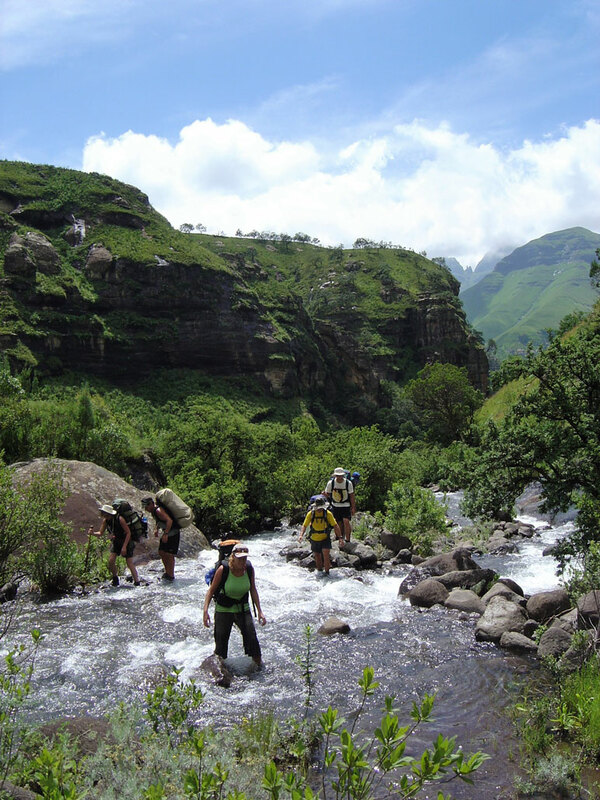 What’s your favourite time of year to hike in the Drakensberg and why? Please comment below. My preference is late March, slightly cooler but the terrific greenery is still present and the streams are still flowing quite full. 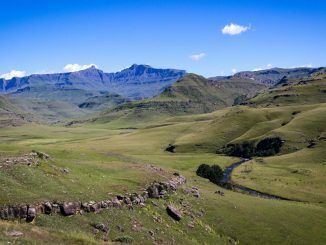 But summer in the Drakensberg is hard to beat, the high pitched sound of beetles, the bubbling and gurgling of the river and distance rumble of the approaching thunderstorm. 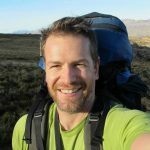 Willem thanks for the article and beautiful photos, now my mind is sent racing off to past hikes and there goes my productivity for the day…..